It's always amazing just how fast Christmas comes barreling around the corner: one minute, it's July, the next second it's December. We're not quite there yet, but it's not far off, and it's always a good idea to keep to past resolutions and get organised well in advance (easier said than done). Christmas is a fabulous time of togetherness and joy, of good tidings and connection with family and friends, typically over a great feast full of festivity. However, there is one slight drawback to the Christmas season: the financial setback of of welcoming all that joy and happiness. But, you know, Christmas doesn't have to be a wild budget-buster—you can still make your home look like a beautifully bright and luminous festive den without the need to go overboard. Today on homify, we're offering a few handy tips on how to bring all the spirit of Christmas into your domestic spaces without breaking the bank (it's easier than you might think). Origami: the art of folding paper into delightful, delicate shapes and sculptures. Sure, it might be a traditional Japanese custom, but today, origami is an international favourite, especially when it comes to festive moments. Like the Zen minimalism at the heart of its foundations, the beauty of origami is its combination of sheer simplicity and modest beauty. 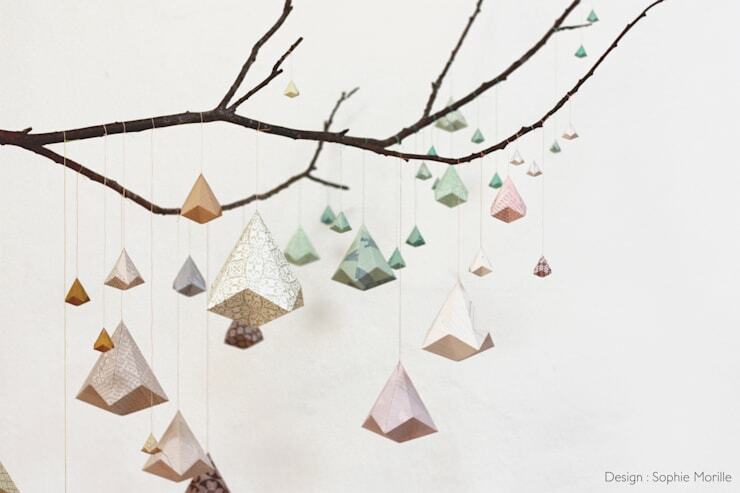 Here, we see how origami can be implemented in a festive Christmas context: a series of paper pendulums, crafted from light, crisp and soft-patterned materials, suspended from a makeshift Christmas tree branch. Sure, some of us might appreciate the look of a fresh, gleaming Christmas tree with bright red and gold baubles. But there's nothing like the homemade touch—with origami, you can create all the shapes you desire, from any paper material that takes your fancy (and it'll cost you next to nothing to do it). Trees are all the rage come Christmas time, and form perhaps the most iconic visual symbol of the modern festive season. But unless you're living in the northern hemisphere, it can be tricky to get your hands on an affordable, and real, Christmas pine or fir tree. But even if you could, would you necessarily want to? These days, constructing your own personalised Christmas tree—either based on a conventional idea of what a tree ought to look like, or a more unorthodox one—is far more common than not. Here, we see how simple shapes carved from basic materials can create a fantastic alternative to the cumbersome, hard to get and difficult to get rid of natural Christmas tree. Even the plastic imitations bought from supermarkets—once so popular—pale when it comes to something as unique and pretty as this. 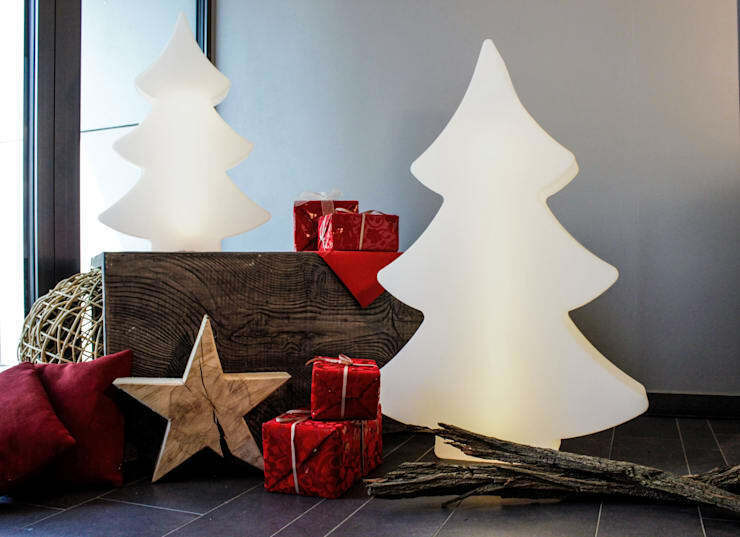 With a little wood, some carved stars and decorative boxes wrapped in red and ribbon, as well as these affordable feature illuminated trees, you've got yourself a delightfully basic and budget-friendly option. Need a little guidance on how to create the most aesthetically pleasing, yet still affordable home Christmas decor? Why not get in touch with a professional? When it comes to having an affordable Christmas, your mantra ought to be 'DIY all the way'. DIY, or 'do-it-yourself' is the best policy come Christmas time, especially when it comes to things like interior decor, trimmings and decorations around the dining table. There's so much to work with, and with a good dose of imagination, so much to create. 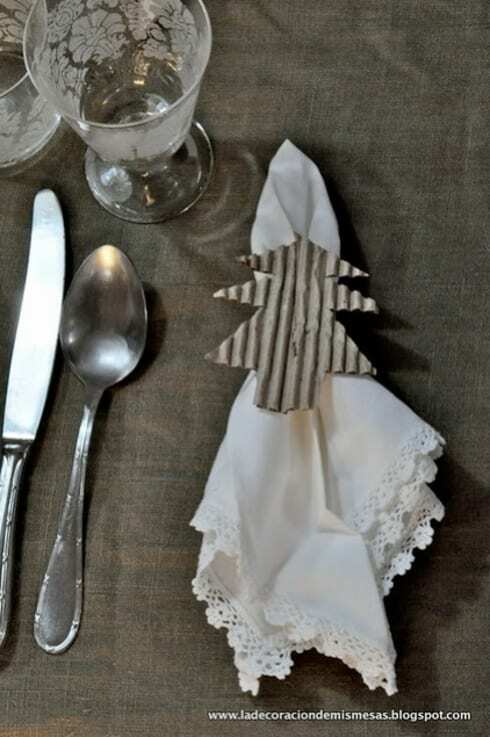 Here, we see a fabulously simple riveted cardboard napkin holder fashioned into a the shape of a Christmas tree. Something like this is a great way to get the kids involved too (they'll probably have some fine ideas!) After all, when it comes to Christmas, it's the thought that counts, and this saying ought to apply to the thought you put into all facets of your festive celebration and decorations—not just when it comes to giving gifts. 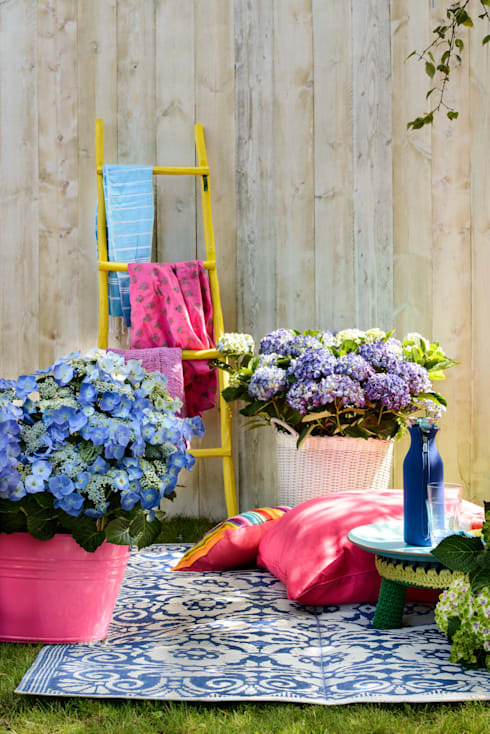 In this regard, DIY—and the thought you put into the way you decorate—is not just an affordable option, but the most rewarding and soulful too. Christmas is a time of illumination and reflection, so it makes sense that we revere candlelight—and as much of it as possible—to brighten up our cosy, festive December nights. Candlelight is one of those fabulous no-brainers: a cheap and cheerful home decoration element that just keeps on giving. All year round, no home is complete without a little candlelight to fire up the romance and sentient domestic mood. But in December, having a stock of candles, whether long, stout or grandiose, ought to be high on your priority list. Candles are inexpensive, and the warmth of their light is unlike any other source. 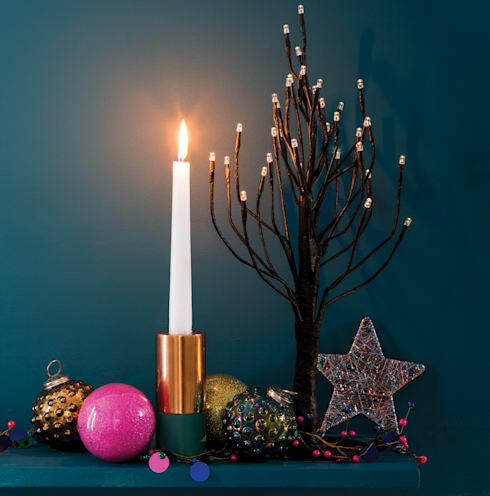 Here, a simple, solo candle creates an effortless sense of Christmas warmth and cheer, held in a homemade golden holder, lighting up the mantlepiece baubles and miniature tree. Imagine that living room all lit up! This is what Christmas is all about. While most of the attention always goes into the choice of tree you have in your living room, there's so much many more ways to celebrate the festive season though decoration than this alone. Why not consider creating your own Christmas centerpiece too? Or if trees aren't your thing, perhaps an alternative centerpiece is best way forward. 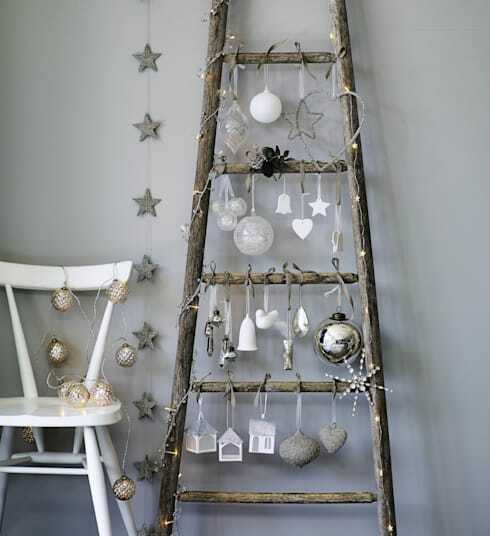 Here, a delightfully rustic ladder breathes new life and spirit when reclaimed by the interior and draped with a sense of homemade and DIY pendants, baubles and dangling stars and hearts—easy on the finances, and even easier on the eye. Christmas is a time of joy, and what expresses joy more than a lush burst of decorative colour? Whether indoor or out, consider bringing in a variety of seasonal pots, flowers and plants to give your home a flourish of fabulous festive verve. Here, we see how a couple of single, and very affordable pot plants, work to create a delightfully decorative outdoor scene: picture this come December 25, and the joy it could bring to your domestic spaces in the weeks leading up. Effortlessly simple, affordable and ultra beautiful. That's the way to do it. Did you enjoy this Ideabook? Why not gain a little extra inspiration from these 6 great Christmas DIY projects.